Easy Star Records CEO Eric Smith always wanted to “make an impact” in the world. And he has – though not in the way he had anticipated. “A huge music fan, especially of reggae,” Smith thought he was headed for a career in politics and government. “My father was very active in the civil-rights movement, and both my parents were pretty political. Growing up with continuous dialogue about the civil-rights struggles here at home, as well as about many other social movements around the globe, I became passionate about making my own impact toward social progress,” the New York City native recalled. 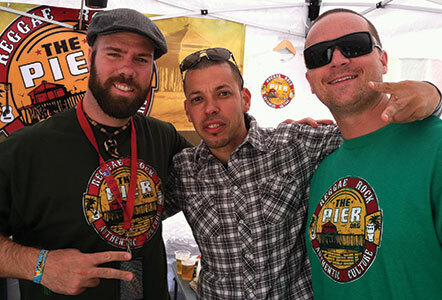 Eric Smith, center, enjoys the 2013 Cali Roots Festival in Monterey, Calif.
That approach has worked well for the business. 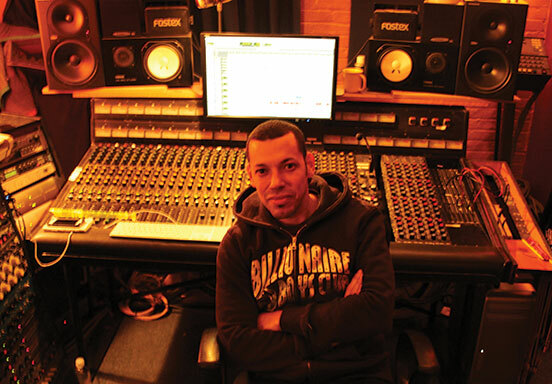 Early on, Smith noted, Easy Star artists included “veterans like Sugar Minott, Ranking Joe, Sister Carol, Junior Demus and Sluggy Ranks, along with up-and-coming artists like Rob Symeonn, Ruff Scott and Ossie Dellimore.” The 2003 recording of Dub Side of the Moon, a cover of Pink Floyd’s Dark Side of the Moon, “expanded our reach and helped expose roots reggae to a wider audience.” Today, The Black Seeds, a platinum-selling reggae/soul/funk group from New Zealand; acclaimed Texas singer-songwriter Cas Haley; Ticklah, a founding member of the studio band, the Easy Star All-Stars; Gogol Bordello bassist Tommy T; and Hawaii’s The Green all record for the label. 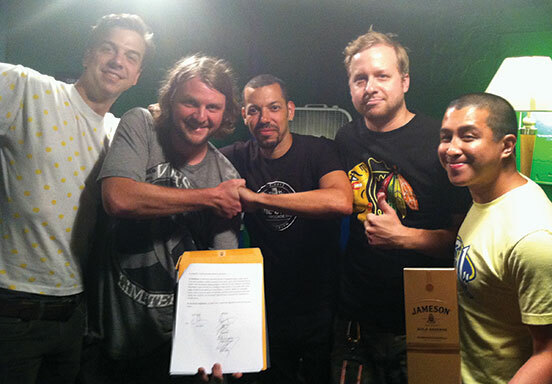 “Our newest signing, Passafire, from Savannah, Ga., debuted its latest album at No. 1 on the Billboard Reggae Chart last November,” added Smith, who lives in New York’s East Village with his wife and their daughter Simone, 10. 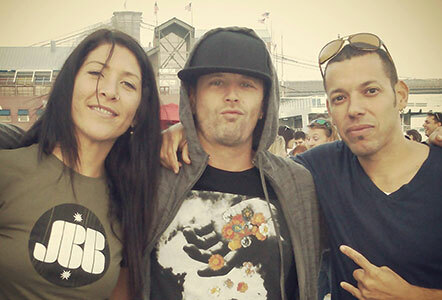 Kirsty Rock of the Easy Star All-Stars and Nate Edgar of John Brown's Body pose with Smith at a concert in New York City last October. At Easy Star, Smith oversees “production, artist management, marketing, distribution, accounting” and other operations. “I love that there is creativity in every aspect of the work we do,” he said. “The name, the logo, the production, the art packaging and the marketing plan provide countless opportunities for creative input. “While I may not have ended up in a field I originally thought I would ‘make a difference’ in, I am still fulfilling that mission. Music, and especially reggae, has played an integral part in fostering and ultimately advancing social change. It has been the soundtrack for liberation and self-empowerment around the globe. I’m deeply proud and honored to have played a part in getting some of that music out to a worldwide audience,” Smith reflected. Easy Star’s newest signing, Passafire, debuted its latest album at No. 1 on the Billboard Reggae Chart in November.